More than 60 million adults in the US are diagnosed with acne, over 50% of adult women and 25% of adult men having this skin disease. Average age of an individual with acne problem is 26.5 years old. The reality is that most acne can be traced back to fluctuations in hormone levels. A common misunderstanding is that men have testosterone and women estrogen and progesterone; the truth is that both - male and female have a balance of all three hormones. The primary cause of the formation of acne is a fluctuation in androgens (male's hormones) and in particular testosterone, DHEAS (dihyroepiandrosterone sulfate) and DHT (dehydrotestosterone). Elevation in these hormones can lead to over secretion by the sebaceous glands and the onset of acne formation. The most common period of life when the adrenal glands start to produce these hormones is at the onset of puberty. This helps explain why oily skin and acne are so prevalent among teenagers. Naturally, since boys have more "male" hormones, teen acne tends to be more severe in males. This also helps explain why males that use performance enhancing anabolic steroids, which belong to the androgen class of hormones experience frequent acne on their face and torso. 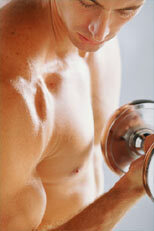 A frequent problem encountered by men while working out is the appearance of body acne. Aside from a greater propensity for pores to become clogged during exercise, intense work outs can stimulate increased production of the hormone testosterone which will make the skin more acne prone. Less stressful workouts are associated with less marked hormonal fluctuations. While not considered a fool-proof body acne cure, one body acne treatment that has been shown to help to prevent skin problems is a simple shower following exercise. This will help to wash away excess oils and allow the skin to breathe immediately following your physical exertion thereby reducing the incidence of body acne. AcnEase® is a unique skin care product that provides men with several advantages to clear up Acne and improve Rosacea symptoms. AcnEase® is a unique oral treatment its small, all natural tablets are taken daily. There is no mess, no need to put anything on your face or body. No need to wait before the ointment dries. AcnEase® is quick, clean, safe and easy to use. It has no impact on male hormones and is proven safe for men of all ages (from teens to late maturity). 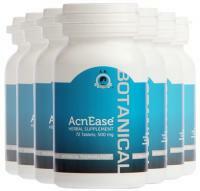 AcnEase® balances the body chemistry internally and clears the skin from inside out. It does not require sun protection and does not carry any sun restrictions. Accutane, the only other systematic treatment for acne has been reported to produce depression in young males. Most men are larger then women and they obviously have different metabolism, different hormonal activities and usually stay more physically active. 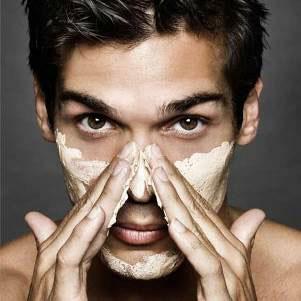 To work with those differences we have developed customized packages for men to address their Acne and Rosacea problems.